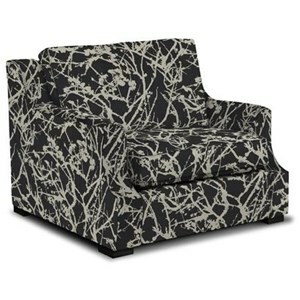 Create your own custom upholstery in just two easy steps with this customizable collection. A versatile selection of seating styles - sectionals, sofas, sleepers, love seats, chairs and more - allows you to choose a seating arrangement that suits your floor plan. Arms can be customized with your choice of traditional options with the Track Arm and Sock Arm options, or a more modern look with Reveal Arm, or Upslope Arm. Finally, complete your sofa, sectional or chair's silhouette with a Square Leg, Round Leg, or Upholstered Base. Creating your perfect upholstered furnishings is easy with the Custom Select collection! 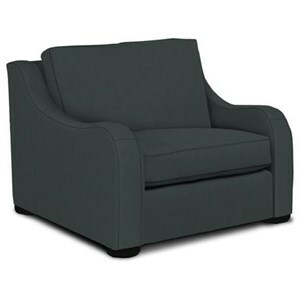 Browse other items in the Comfort Select collection from Belfort Furniture in the Washington DC, Northern Virginia, Maryland and Fairfax VA area.